It is best if the Tamil National Alliance (TNA) adopts a ‘neutral stance’ when Parliament convenes, Minister Dayasiri Jayasekara said yesterday. This will make it easier for us to build support for a political solution to the national question in future, he said. As each party counts the numbers in favour of them, the TNA with 15 members hold an envious position in Parliament. Last week however, TNA spokesperson M.Sumanthiran stated that they would support a No Confidence Motion against PM Mahinda Rajapaksa. Yesterday, they met President Sirisena to convey their stance and informed the President that they would oppose the new Prime MInister. “There are one or two MPs within the TNA taking forward the agenda of the UNP because they want to enter Parliament through the UNP National List. But others are speaking with us,” Jayasekara said addressing a media briefing at the SLFP headquarters on Darley Road. He noted that President Sirisena was elected by votes from all communities and the SLFP had always been clear on their stance when it came to a new Constitution, “But the UNP has not put forward their proposals on the Constitution, so it is the UNP which is tricking the Tamil people”. 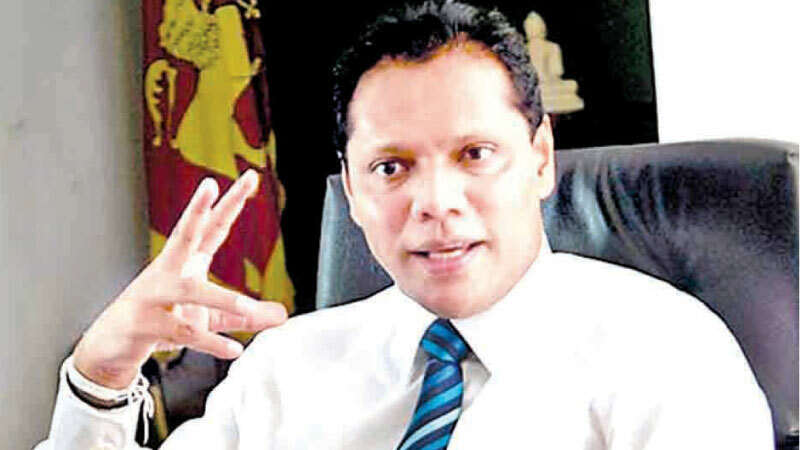 He believed that it was only President Sirisena and PM Rajapaksa who could bring about a long term political solution to the national question because the majority Sinhalese would listen to accept them more, “The people know that the President and Prime Minister won’t betray the country unlike Ranil Wickremesinghe”. “If the TNA goes to fulfill the mandate of the UNP, there will be a lot of opposition in the South against it. If they support Ranil Wickremesinghe here, we will not be able to raise our hands for any Tamil issue in future. It is better for them to be neutral here. We are ready to take action to increase understanding between communities and support a resolution”. The main problem TNA has is to deal with the grievances of the Tamil people, it is not Ranil Wickremesinghe, Mahinda Rajapaksa or Maithripala Sirisena, they need to resolve the national question, and they need the support of all, he added. “The President is still Maithripala Sirisena and as long as they remain neutral now, we can in future support their programme”.